Hi, today we will look to configure Cisco routers and switches with password. It may be seen trivial but very important for security, because a lot of issues a password related. Network devices use a lot of protocols to work and this protocols needs security. Authentication resides in security and the first rule of authentication is real check.For example if you connect a switch with telnet you should give your credentials to gain rights to manage switch or you need to gain more rights to change switch configuration. Create login username and password and set them. Using secret is more secure, password is old usage, if you have secret option use it. With secret option password is saved as hashed value as you can see below. To set password for global configuration mode. Here you can use password option too but as I said before secret is more secure. 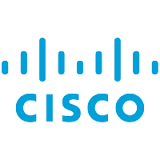 Cisco devices can be managed using by protocols like Telnet or SSH. This protocol provides remote management opportunity. So we need to set password to this services.